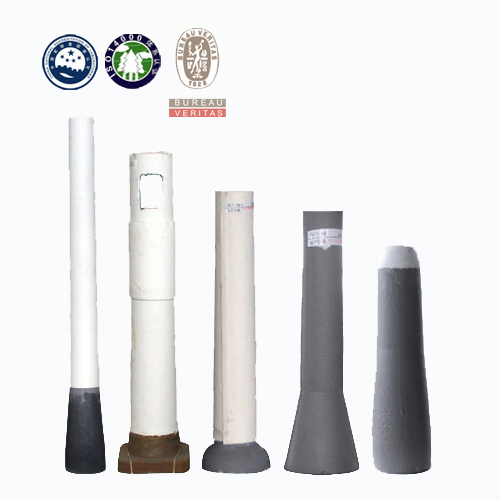 Changxing Refractory's submerged entry nozzle is isostatically pressed from alumina-graphite with zirconia inserts and magnesia seats as required. Argon channels are also available. These pieces are 100% X-ray tested for flaws and cracks prior to shipment. 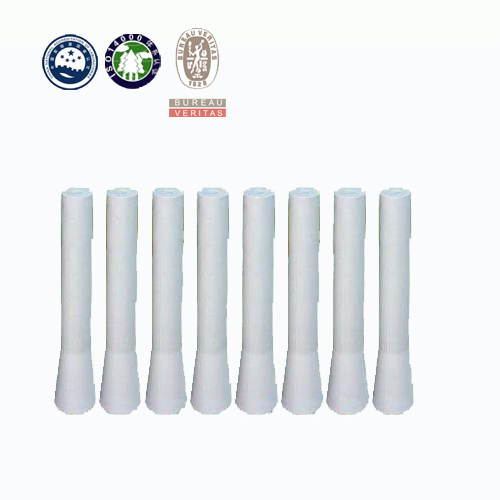 These submerged entry nozzles are engineered to provide maximum life at minimal cost. 1. The Submerged Entry Nozzle (SEN) and Submerged Entry Shroud (SES) protect the steel flow from the Tundish to the mould. 2. Submerged Entry Nozzle is fixed inside the Tundish and also functions as a Tundish Nozzle. Submerged Entry Shroud on the other hand is fitted from the outside on the Tundish Nozzle. 3. 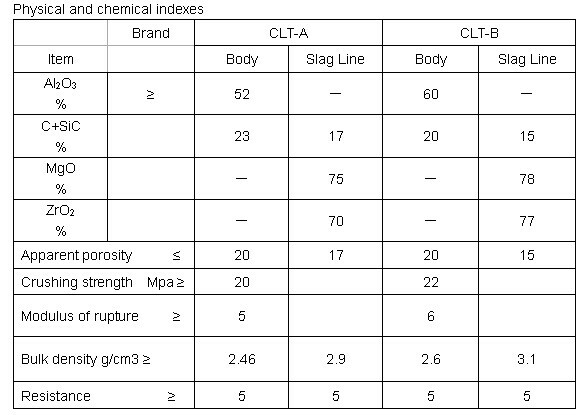 The body is made of Alumina Carbon quality while the seat and slag zone are made of different qualities as per customer requirements including Zirconiz-Carbon and Magnesia Carbon quality. 4. The SEN and the SES are protected from the outside with a ceramic paper lining. 5. Submerged entry nozzle is served to protect and control the molten steel stream between the tundish and the mould during casting. Submerged entry nozzle enjoys performances of purifying liquid steel, prevent liquid steel oxidation, with good liquid steel washing resistance and erosion resistance.